One of our our HF net conrollers, Fred K6IJ was involved in a serious auto accident yesterday; he received 60 stiches in his arm and injured his back. This happened while he was helping Steve AF5CN with his motorhome that had gone off the road. Fred is recovering at home very sore but will fully recover. The WARFA family wishes Fred a speedy recovery. It is with great sadness, that the XYL of Moody Law WQ6I, Norma N6MMF as of this date has became a silent key. Her passing was not expected. Totally unexpected and with deep sadness, Art Bell W6OBB became a silent key at his home in Pahrump Neveda, He is survived by his wife Airyn Ruiz Bell and his four children Asia Rayne Bell, Vincent Pontius Bell, Arthur William Bell, and Lisa Minei Bell. Art became officially a full WARFA member when in May 2003 attended our retreat with his wife at that time Ramona for an antenna shoot out contest with our secretary Moody, WQ6I. Thanks go to Mary Green KD8ASF Health & Welfare Chair and and Steve Schmitz W0SJS Secretary of OMIK for providing this advisory and sad news. 1455 N. Fair Oaks Ave. It is sad to report that Pat Sneed KF6P became a silent key on June 11th. 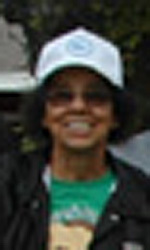 She was the beloved wife of Ted Sneed who became a silent key in 2010. Ted was a former WARFA president for many years and Pat continued to be active with WARFA after Ted's passing. Bob's sister Nannette Skinner passed away in Los Angeles at Cedars-Sinai Medical Center on Thursday, April 13, 2017 at the age of 73. She has been a 26 year severer of Kidney transplants and dialysis treatments, which gives you an idea of the type of fighter she was. 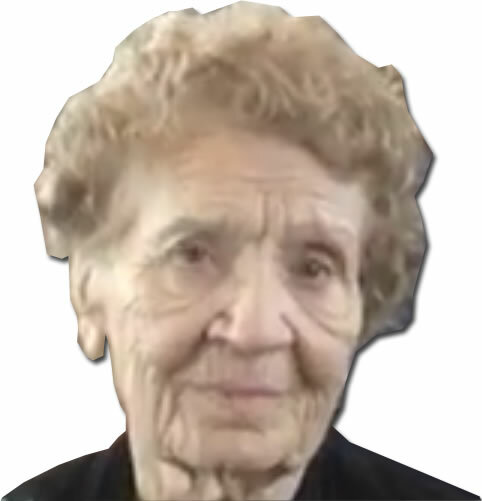 Nan worked as the payroll manager for Provident Mutual Life Insurance for many years until her kidney ailment. She is survived by her Son Mike, grandson Evette, her brothers Bob K6AII, Jess and William, sisters Millicent and Joyce; and the rest of her family and friends. 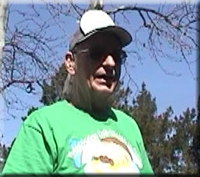 The wife of one of our WARFA net relay stations and OMIK member Tom Ollie KA6QDE passed away on Monday, December 19, 2016 in San Bernardino, Califormia..
"Al, WA6WER “in the trees” he would say from Grass valley passed away September 14, 2016 in Grass Valley. 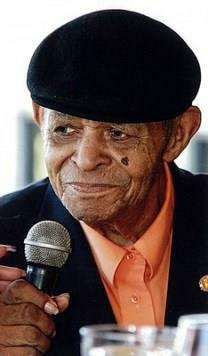 He was born Nov. 29, 1928 to Hendrick and Amelia Ebker Hoffmeyer in San Mateo California. Al is survived by his wife of 38 years, Judy; daughter Sherrie Downie; stepsons Bob (Debbie) Reuter, Randy (Janelle) Reuter, Larry (Anna) Reuter; and numerous nieces and nephews; as well as 18 grandchildren; and 5 great grandchildren. He is preceded in death by his son Blaine Hoffmeyer; and stepson Steve Reuter (Extra Class amateur), both this year. Judy, also a ham needs cards and letters to let her know that we are still family. It is with deep sadness to report that Ron Stuart bacame I silent key on June 17th. Ron was originally from Concord Contra Costa County in Northern California and was active in the Grizzly Peak VHF and Mount Diablo Amateur Clubs in the1970's and 80's. Ron served his country in the Coast Guard in the 1960s. He moved to Newhall in Southern California in the 1990s and a few years ago moved further south to Fallbrook where he lived until his passing. 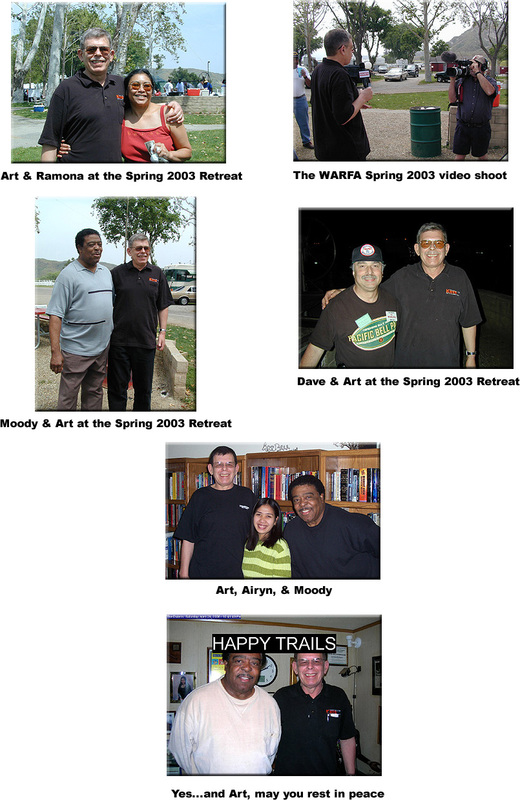 Ron had attended several of the retreats in Valencia in the 90's and 2000s. He is survived by his wife Carol. It is with deep sadness to report that Marco Vallery became a silent key. When he check into the WARFA net, he always gave his QTH as Carson By-The-See Number 1. He is survived by his XYL, Lupe KB6PPH. Guest book signing may still be available by clicking here.